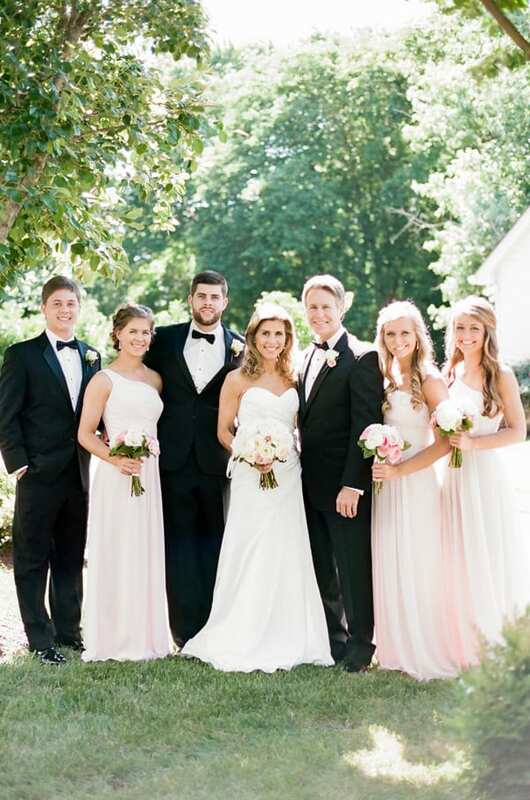 Terri and Scott’s intimate garden wedding brought together their family and close friends for an elegant and sophisticated celebration. Our gazebo was beautifully draped and featured a crystal chandelier for the couple’s garden wedding ceremony. The upscale feel continue to the reception with tall arrangements mixed with short of pink and white flowers atop pewter and blush linens. Additional crystal chandeliers hung from our event pavilion, creating a dreamy and romantic space. One of our fave Nashville wedding photographers, Jenna Henderson was on hand to photograph Terri and Scott’s big day – her images truly capture the love and joy celebrated that day. Enjoy!